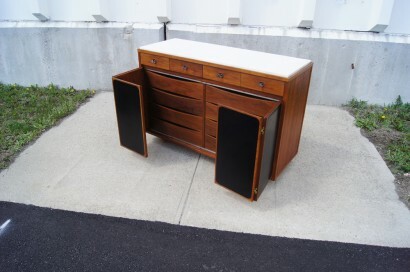 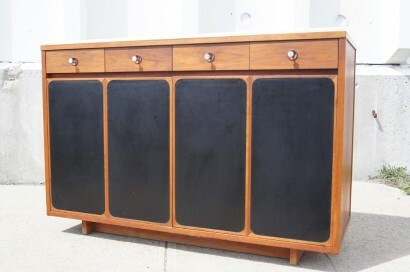 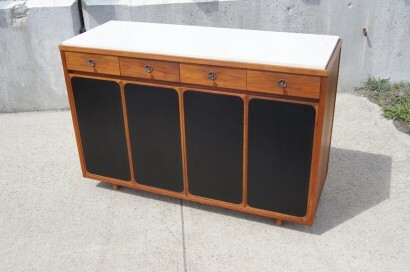 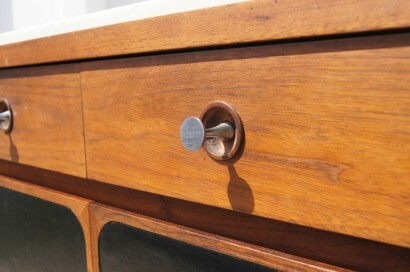 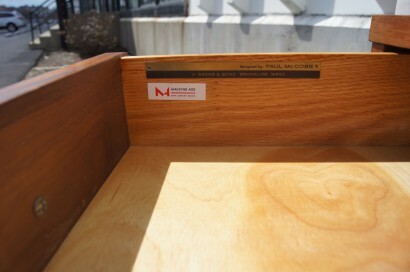 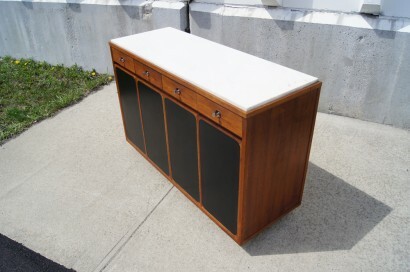 This buffet was designed by Paul McCobb for H. Sacks & Sons. 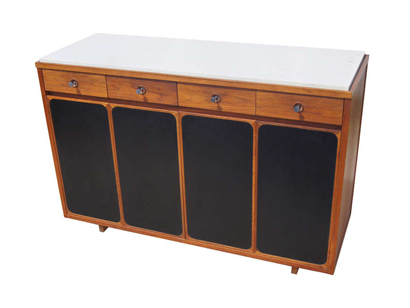 It is constructed of walnut and features an inset marble top. 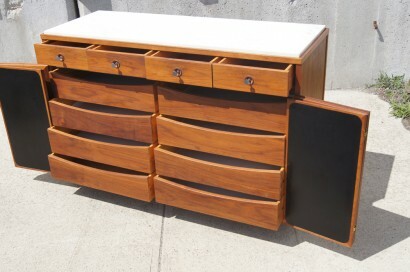 This piece provides ample storage with four upper drawers and eight lower drawers that are concealed by leather-front accordion doors.